Will you be in great company this weekend and wish to explore new cocktail options? We, at Platinum Services Limited, know this could be challenging especially after a lengthy week but we wish to introduce you to a friend… Meet the British Affair! 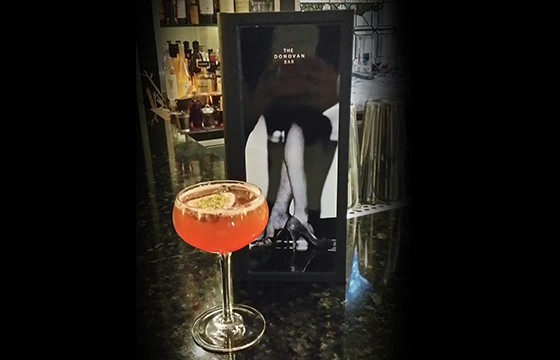 Created by Giovanni Cassino – Bar Manager at The Donovan Bar, Brown’s Hotel – The British Affair is a refreshing and elegant cocktail which is easy to make at home and perfect for the spring and summer seasons. Sounds exciting? Here are the ingredients and method compliments the Quinessentially Insider team. 1) Muddle ingredients, then shake together in a cocktail shake, 2) Top up with Champagne, 3) Garnish with half a passion fruit and two halves of a strawberry. Quintessentially Vodka redefines luxury spirits with sleek design and a liquid of such discerning quality that is quite simply perfection on ice.